As a former CEO of three companies, I kept one eye fixed on my sales leaders. 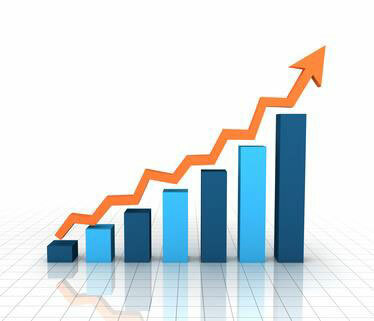 I needed a steady flow of new sales, the lifeblood of every business. If they hit persistent slumps, everyone and everything was affected. And I was responsible. As a lifelong salesperson, I knew that effort equaled outcome. To reach outstanding outcomes, I had to ask myself hard questions and exert my own outstanding effort to make the answers reality. Was I perfect? No. Did I work hard to improve? Absolutely. Let’s put in a new sales process. 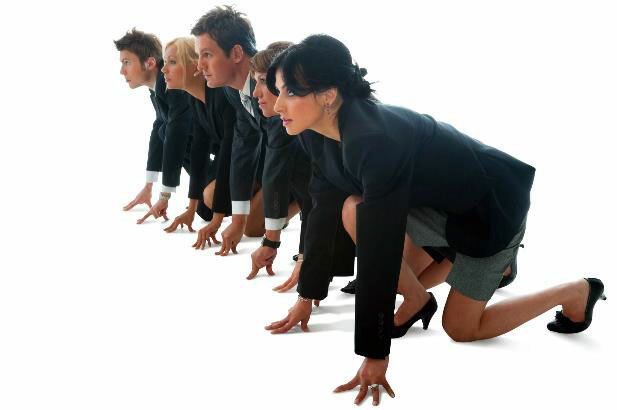 Let’s train our salespeople on better sales skills. Let’s reorganize and break up sales roles. Let’s buy a new sales automation system. Well, these strategies might be helpful, but they won’t work without the right salespeople with the right sales skills and DNA to make the investments pay off. One of the hardest lessons I learned was to see beyond the obvious. I came to understand the presence of five crucial elements (strengths) and five near-invisible weaknesses embedded in sales teams, sales management, and sales pipeline. Once understood, CEOs gain near-limitless power to reach outstanding sales outcomes. By applying a deceptively simple tool like OMG’s Sales Force Evaluation, CEOs hold the transparency to see hidden evidence, then know with certainty, whether sales strategies, teams, systems or processes will produce repeatable and sustainable revenue. No more gut instincts. What is our current sales capability? Why aren’t we generating more new business? Are we reaching true decision makers? Why isn’t our sales cycle shorter? Is our value proposition consistently communicated? How much more effective can our people become? What are the short-term priorities for accelerating growth? At this point in your revenue journey, it’s time to maximize five sales strengths to minimize five sales weaknesses. 1. Desire: Do your salespeople and sales managers show to desire to sell. If you found a lack of desire in a failing salesperson, you’d say, “Well, that explains it.” No, it doesn’t. 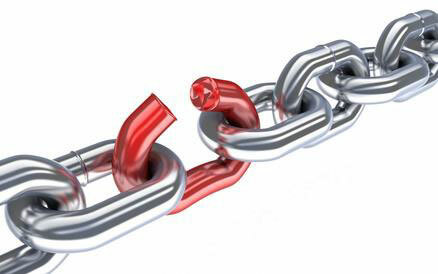 Poor sales competencies and or lack of sales DNA explain lack of performance. But lack of desire tells us an underachieving salesperson is unlikely to improve due to a lack of incentive to change. If your top-performing salesperson suddenly lacks desire, it’s a head-scratcher. In most cases, however, something in his/her life has changed. And while CEOs are not psychologists, they do need the soft skills to find out what’s wrong and how they can help. Part of leadership is the skill to motivate and build people’s strengths. Salespeople with strong desire, but weak commitment, want success, want large commissions, and want recognition but they won’t do the things that are uncomfortable or difficult for them. Those things entail anything from prospecting, qualifying and challenging prospects to tough money conversations, bringing up the competition or asking personal questions. With the new rules for business, changes to how prospect buy, resistance to spending money, tougher competition, and the tremors of a volatile economy, salespeople without strong commitment cannot overcome these challenges. Find out. Use the OMG assessment tool. All the training in the world will not generate commitment. 3. Outlook: How do your salespeople feel about their work, their lives, their friends, their direction, their general state of well-being? Is the glass-half-empty or half-full or, worse yet, are the contents moldy? Your salespeople carry their outlooks to work; it affects their ability to do what needs to be done. The right outlook success. If you measure a poor outlook in a pre-employment assessment, probe and ask about it in the interview. Is it related to their search for work or is it endemic to their daily life, and a red flag, independent of circumstance. 4. Responsibility – No Excuses Measuring: When your salespeople or sales managers don’t perform, do they offer excuses? The element of responsibility provides a yardstick on how willing someone is to own his outcomes, both desirable and undesirable. When things don’t go right, which way does the finger point? To someone or something else or back at you and the company? Excuses thwart learning because they provide the excuse maker a psychological out. What’s more, they give away all the power to the subject of the excuse. It feels good in the moment because it gets you off the hook, but ultimately it makes you powerless to make important changes. Holding yourself and your team accountable to a “no-excuse” policy doesn’t mean there aren’t legitimate reasons things go wrong outside of your control. It means that you aren’t wasting your time on them. Instead, focus on what’s in your control where you can change the outcome. 5. Growth Potential: While personality and behavioral tests tell you about candidates’ makeup, OMG’s assessments tell you about their sales DNA, sales competencies, will to sell (desire, commitment, outlook), and growth potential. Yes, potential. While the right makeup is nice to have, sales DNA, sales competencies, will to sell and growth potential are must-haves. OMG is uniquely established to determine and accurately predict whether a candidate’s combination of these elements will allow him or her to succeed. In a given sales role. In your company and industry. Selling to your ideal decision maker. Or selling against your competition, with your specific pricing, sales cycle, and challenges. It’s about potential. And where you invest your dollars. As you evaluate your sales team, focus on the five major weaknesses that can obstruct great sales outcomes because, if you don’t, they will force longer sales cycles, no decisions, or your salespeople selling on price. 1. Buy Cycle: How your salespeople buy for themselves impacts how they sell to your customers. For example, in one of our recent assessments, Steve, a mortgage broker, bought a $1,100 diamond ring. In the assessment, he thought $500 was a lot of money. It took him 18 months to make this major ring purchase, shopping both online and in person at 26 different storefronts, returning as many as six times to several. In the end, he purchased on price. What’s wrong with this? 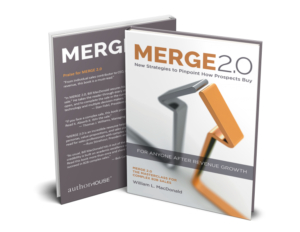 Our assessment demonstrated that when a salesperson with little tolerance to spend encounters a prospect who wants to price compare or “think it over,” the salesperson concedes. After all, that’s how he buys, too. I guarantee your top performers do not think this way. If your salespeople respect the buy cycle (limits on time), that’s a strength. Use it to as a wedge to deal with comparison shoppers, price shoppers, and indecisive prospects. However, ignoring your buy cycle is a weakness; salespeople are left helpless to defend against undesirable prospect behaviors. If there are salespeople on your team with many qualified prospects that result in no decision, buy cycle may be the cause. If they have the sales DNA, desire and potential, we can train them and improve your sales process to set aside those beliefs. 2. Need for Approval: OMG research has proven that as a weakness, the need for approval affects more than half of all salespeople but only six percent of elite salespeople harbor this weakness. A whopping 78 percent of “weak” salespeople fall prey to this need. That says a lot, doesn’t it? Need for approval alone can interfere with the execution of every stage of the sales process. For example, it’s crucial that modern salespeople can assume a consultative approach to differentiate themselves from the competition. A consultative approach requires asking many, many questions of the prospect, pushing back, punching holes in rigid beliefs and, sometimes, gentle confrontation. Salespeople who need to be liked simply will not take these risks. Yet when salespeople overcome their need for approval, they book 35 percent more business. Imagine. You can boost sales by one third by weeding out and not hiring these types on your sales team. 3. Emotions: As a strength, emotions support the quality of listening and asking questions. As a weakness, excess emotions can prevent people from maintaining self-control. When salespeople become overly emotional, sales can derail. I’m not talking about getting too close to their prospects, customers, and clients. When salespeople react emotionally, they fail to see things objectively; they react when they should respond; they don’t present themselves as effectively or professionally if not in self-control. With salespeople, loss of control happens when 1) things don’t go the way they expect and they’re beset with frustration or anger; 2) actions don’t move as quickly as hoped and they become impatient or anxious; 3) a prospect surprises them with an out-of-the-blue objection and they panic; or, 4) they go into a slump and get scared. If you or your sales manager face this challenge with a salesperson, help them to develop the resiliency needed to maintain control. Role-playing helps here or use Sellerations™ Sales Simulator Better they crash and burn in the simulator than in front of sales-ready prospects. 4. Money: A salesperson who’s uncomfortable discussing money carries the scarlet letter of occupational hazards. He may believe it’s impolite to ask prospects about money, budgets, or competitive pricing—a glaring weakness. One of my former salespeople couldn’t hold detailed financial discussions. I didn’t realize it when I should have. Lesson learned long ago. Salespeople with the money weakness often skip over financial qualification steps. They hold back when there’s a challenge to find enough money for the prospect to make the purchase. 5. The Record Collection: OMG has amassed data on more than 500,000 salespeople. 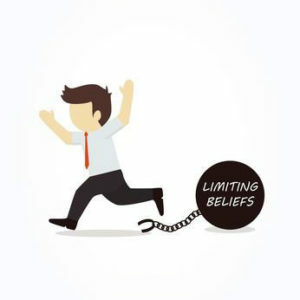 Some of this data indicates that most salespeople carry around a collection of self-limiting beliefs that will surprise you. These beliefs (referred to as the record collection) prevent them from executing on core best practices in sales. As a result, legitimate sales opportunities slip through their fingers, closings stall, margins shrink, and pipelines evaporate. But wait. There’s an entire record collection. Perhaps, you’ve heard these tracks? It’s ok if my prospect wants to shop. I have trouble getting past the secretary. I can’t call on company presidents. I don’t like cold calls. I don’t get enough referrals. Our prices are too high. As CEO, responsible for revenue growth, how does it feel knowing these beliefs persist? Maybe it’s time to shake things up. Know what you can’t see.